The next release of the VNC SDK will include Service support, widening and deepening the range of addressable use cases for remote access. It allows a remote access session to transcend the active user session within the operating system - a session which normally terminates when the user logs out or navigates to the lock screen. 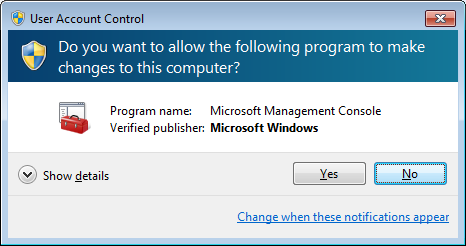 Without Service support, for example, when a user logs out the VNC session will die with the active user session. Other OS events can also happen outside of this active user session, including privilege escalation - those programs which ask you re-authenticate before they run or even authenticate as an administrator. Service support ensures that these escalations will be visible to the VNC user connected remotely. Implementing Service support in your VNC SDK application enables the VNC part to run in the background and not be intrinsically linked to any one session. It therefore survives logouts, locks and privilege escalations. Perhaps the best way to think of this is support for "unattended" connections e.g. overnight patching of unused systems or even just enabling remote working on office machines from a hotel whilst on business travel. The release, penned for the end of July 2015, will include sample applications which exercise the Service support and the technical documentation required to implement it. Like our first release, it will be simple and easy to get up and running with all the new features and we strongly encourage our users to investigate the functionality that Service support brings.